YMCA Barry is an autonomous association founded in 1890, as a registered charity and is part of the wider YMCA movement started over 165 years ago. We are affiliated to the YMCA European and World Alliance. The YMCA aims to help all young people belong, contribute and thrive to achieve their potential. YMCA programmes in Barry include, gymnastics, child care, community radio station – Bro Radio, sports and fitness, youth work and personal development programmes. In addition the YMCA is an excellent venue for any meeting or conference with full catering service. 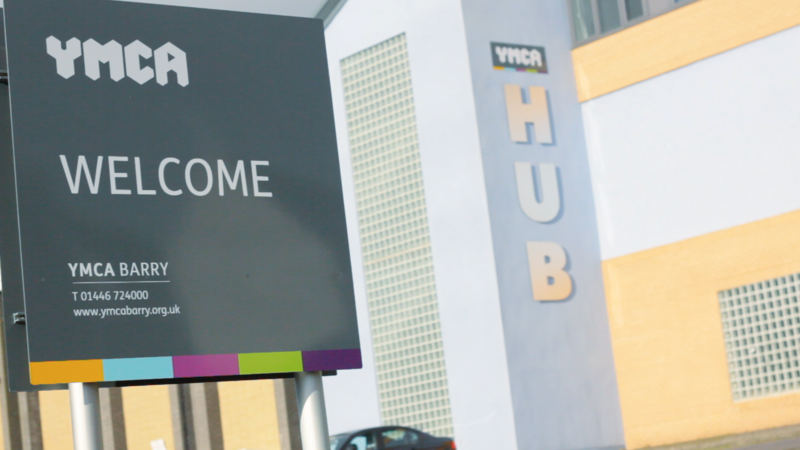 Five other charities are based at the YMCA and is also home to a day unit for people with learning difficulties. We comply with the standards laid down by our national organisation, and welcome their expertise, but we are a self-supporting unit, rooted in the community. We pay our own way from the income our activities generate and continuous fundraising. As our name suggests, we are guided by Christian principles. They include recognising that everyone matters and is valued; encouraging them to fulfil their potential in a loving and caring community; and, above all, providing hope.But we are open to all, whatever your faith, or if you have none, welcome to YMCA Barry. The building has been heaped with praise, not just from residents of the town, but from visitors and esteemed dignitaries alike. It’s not difficult to understand why, even the exterior is alien to its surroundings, an intensely modern architectural construction with a grandiose logo emblazoned as a striking façade. The interior follows in a similar vein, the first feature you see is the foyer leading into the restaurant with lighting descending like space ship illuminations and changing colour depending on the outside daylight. It is a welcoming introduction to this innovative new building, the unbelievable end product of a rejuvenated YMCA Barry.